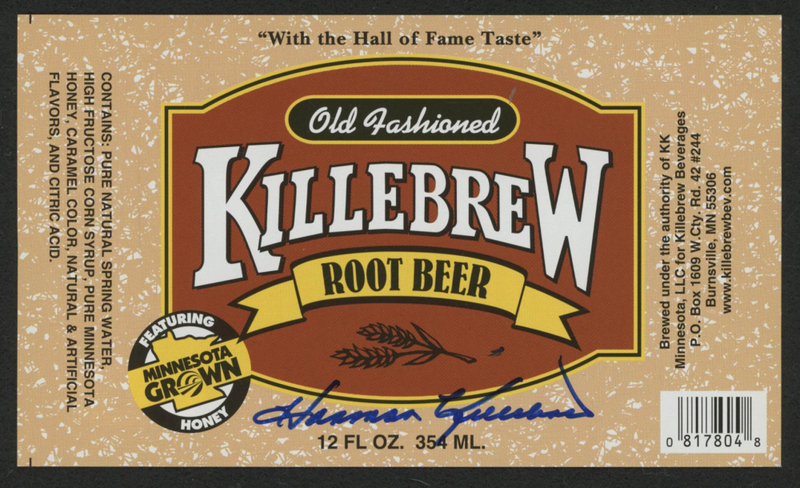 "Old Fashioned Killebrew Root Beer Label measures 3.35" x 5" in size and has been hand-signed in blue felt-tip pen by Harmon Killebrew (D 2011, Minnesota Twins, HOF). Harmon Killebrew, nicknamed "The Killer" and "Hammerin' Harmon", was a first baseman, third baseman, and left fielder. 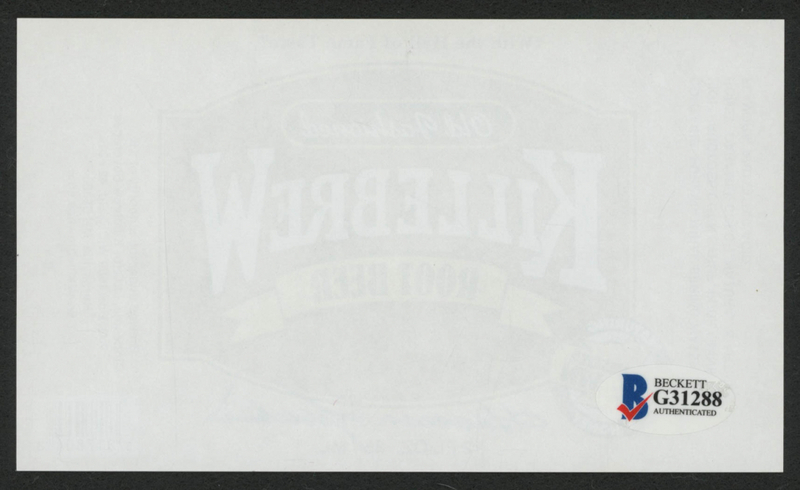 During his 22-year career, primarily with the Minnesota Twins, Killebrew was a prolific power hitter who, at the time of his retirement, was second only to Babe Ruth in American League (AL) home runs and was the AL career leader in home runs by a right-handed batter. He was inducted into the National Baseball Hall of Fame in 1984.